Award-winning composer, arranger, pianist, and recording artist Mark Hayes has crafted a delightful addition to his popular vocal solo series. 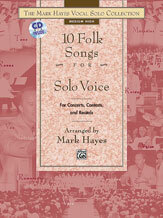 10 Folk Songs for Solo Voice offers traditional tunes from Scotland, Wales, and the United States, ranging from the plaintive (I Know Where I'm Going) to the passionate (Aura Lee); from the Civil War (Goober Peas) to the nineteenth century American frontier (Railroad Medley); and from comic courting songs (Billy Boy) to early popular song (Stephen Foster's Beautiful Dreamer). 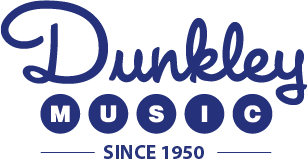 Available in both medium high and medium low voicings with accompaniment CD recordings. A full performance Listening CD, featuring all ten titles in a mixture of voicings, is also available. Titles Include: Railroad Medley (The Wabash Cannon Ball / She'll Be Comin' 'Round the Mountain / I've Been Working on the Railroad) * I Know Where I'm Going * Simple Gifts * Beautiful Dreamer * The Erie Canal * The Ash Grove * The Arkansas Traveler * Aura Lee * Billy Boy * Goober Peas.